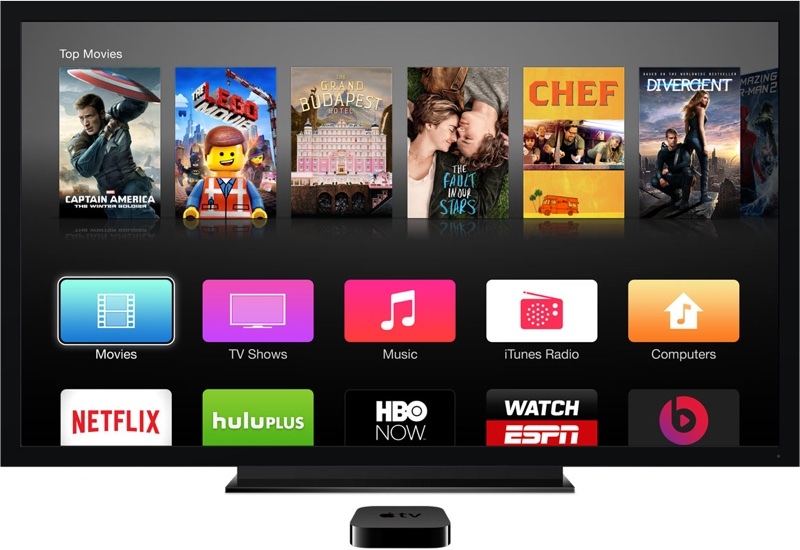 Despite early rumors suggesting Apple would introduce a redesigned Apple TV set-top box at its Worldwide Developers Conference in June, it appears the device will not be ready to debut at that time. In a report covering what to expect at WWDC, The New York Times' Brian X. Chen writes that Apple has postponed its plans because the product is "not ready for prime time." Yet one much ballyhooed device will be absent from the conference: a new Apple TV, Apple's set-top box for televisions. The company planned as recently as mid-May to use the event to spotlight new Apple TV hardware, along with an improved remote control and a tool kit for developers to make apps for the entertainment device. But those plans were postponed partly because the product was not ready for prime time, according to two people briefed on the product. Apple has not introduced a revamped version of its Apple TV since 2012, leading to years of rumors and speculation about the company's plans for the device. Since 2013, nearly every Apple event has been targeted as the venue where we'll see a new version of the Apple TV, but no product has materialized as of yet. According to the most recent rumors, Apple is currently working on a new version of the Apple TV that will include ambitious additions like a full App Store that supports apps and games, Siri support, and an SDK for developers. It is also said to include an A8 chip, an increase in internal storage, and a touch-based remote. There is no word on when the Apple TV might debut, but it's possible that it could be introduced later this year alongside Apple's rumored subscription television service. Apple was said to be targeting a WWDC launch for its TV service, but those plans were also delayed as the necessary deals are not yet in place. With its subscription television service and set-top box off the table for the Worldwide Developers Conference, the event will focus on iOS 9, OS X 10.11, and the company's new Beats-based streaming music service. The Apple Watch will also be a major focus, with Apple planning to debut native Apple Watch apps as shared by Jeff Williams last week. Update: Re/code is also reporting that the Apple TV will not be introduced at WWDC. Ouch, feel sorry for those who were excited to see it on Monday. But hey, more time for polishing the hardware, software and services. They've had three frickin' years. This is awful news. Was the main thing I was looking forward to with WWDC. So WWDC is already DOA. Great. I wish they'd spent their time on this instead of a pointless, overpriced watch. So basically the two things I cared about for this WWDC may not be discussed. Software advancement at this point is dull news to me.